If you haven’t noticed, Wiley Elementary on St. Mary’s Street is undergoing an extensive renovation and expansion. The $24 million project adds 20,000 sq. feet of classroom and administration space as well as renovations to the 1923 building. Improvements to the grounds are being made to address erosion issues and a more efficient parking/driveway is being added to improve parent drop-off. The construction should finish in Summer 2019. 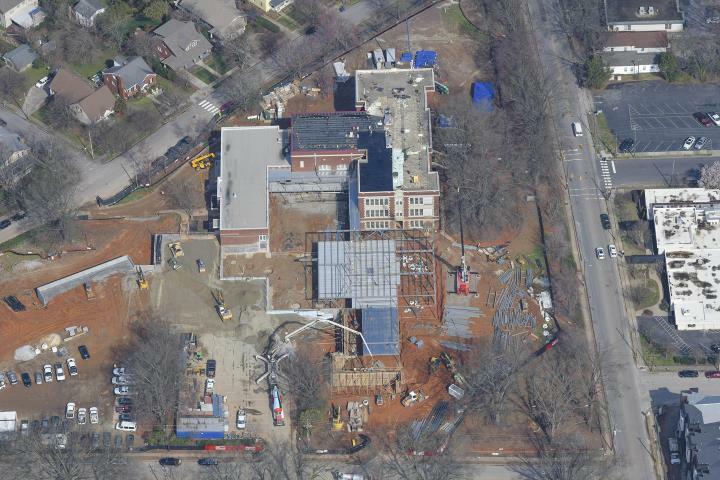 The project page has a nice aerial shot of the construction as well, shown below. 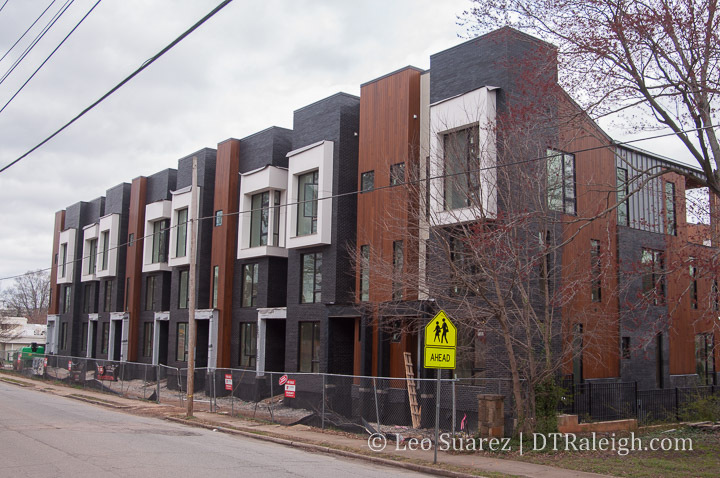 Slowly but surely, the townhomes at The Saint are starting to look finished. These beauties, shown above, along St. Mary’s look pretty much finished except for the remaining sidewalk work. Expansion at Trophy Brewing on Morgan Street is well underway. The new space next door adds more restaurant and brewery space. A few parking spaces in front will be replaced with the new building as well as possible outdoor seating. Warehouse at 303 North West Street. March 2019. Work is underway to convert this building along West Street into office and restaurant space. 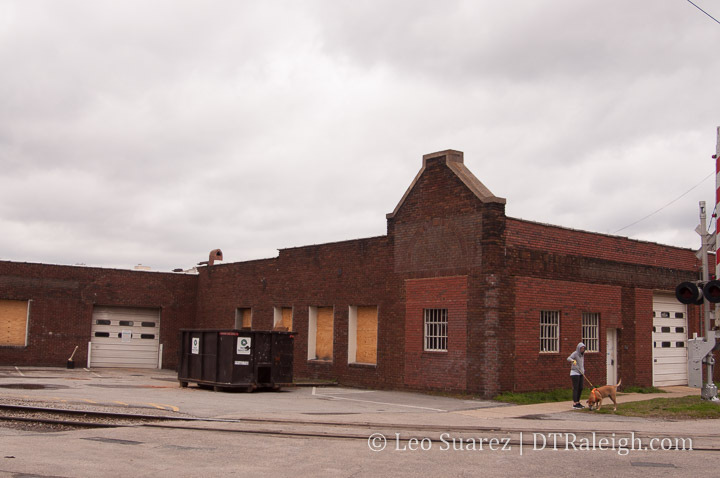 Formerly the home of Auto Interiors & Tops, the building may have outdoor space and a bar facing the train tracks. 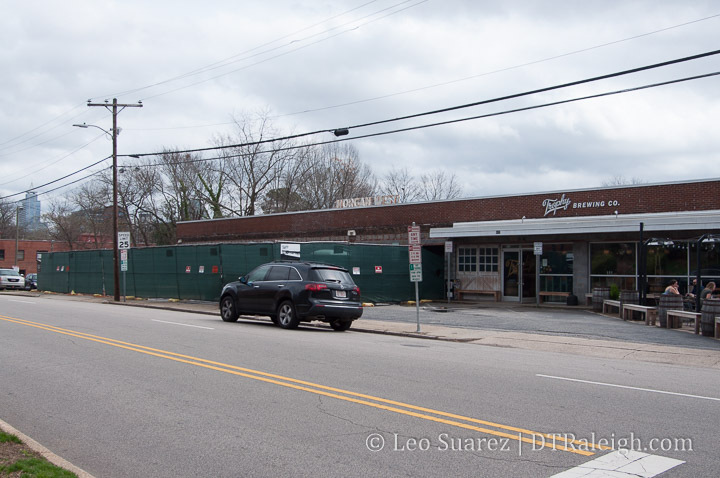 Seems like a great renovation project here as Glenwood South continues to “dense up” on the food and beverage options. Have you seen them yet? 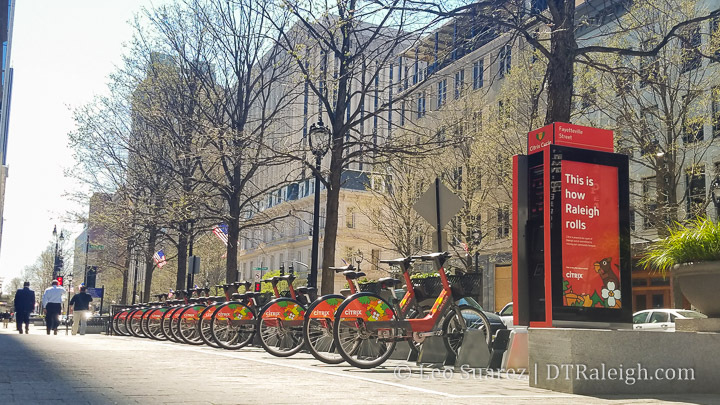 The Citrix Cycle bikeshare system is finally up and running albeit in a limited capacity. The system has “soft launched” with more stations coming online throughout this month and next. The electric-assist bicycles have been very enjoyable to ride. I know I have been eager to see this system up and running and the timing is great as the warmer months approach. 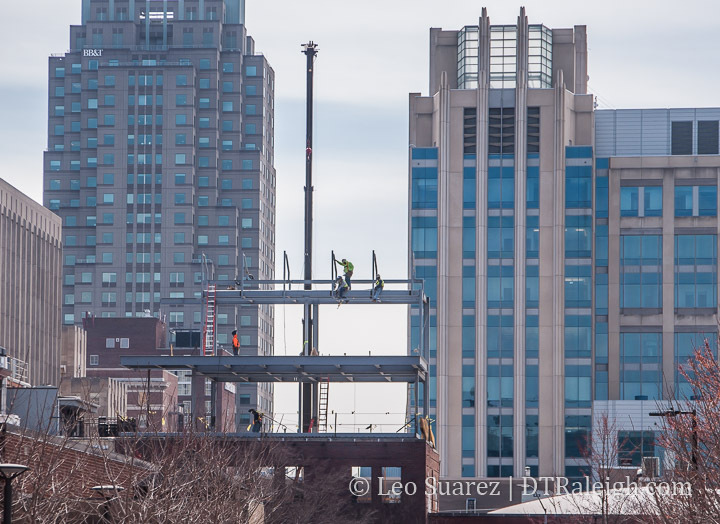 Metal framing, including additional floors, are taking shape over at the Lumsden Bros. Building on West Hargett Street. 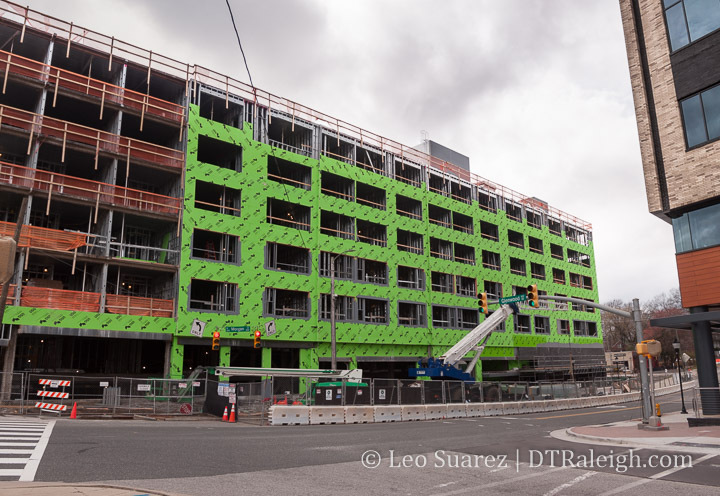 The developers behind this project have done a great job in preserving the sidewalk character of the building while completely modernizing the interior and adding more density to the area. 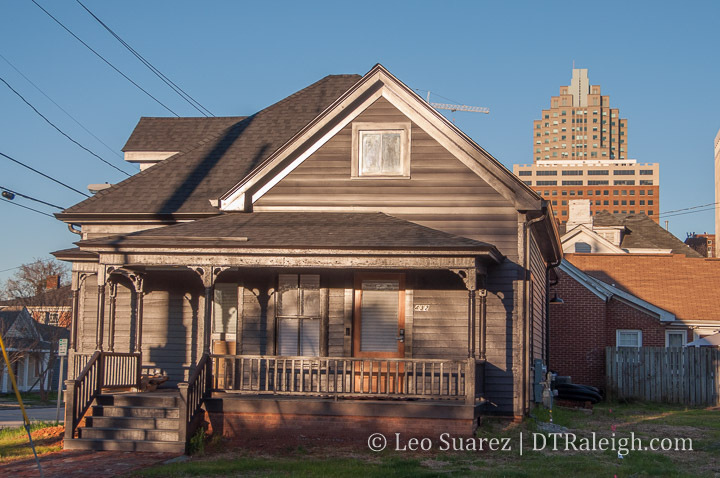 Winter 2019 has been good to the Rogers house at its newest home along East Street. An extension, side project, something from the owners of nearby Guest House Raleigh, Rogers Cottage, as it will be called, may be incorporated into the boutique hotel’s offerings soon. Stay tuned to their Instagram for more.